Length: 8 Hrs, 20 Mins. When the first episode aired on November 10, 1969, Sesame Street revolutionized the way education was presented to children on television. It has since become the longest-running childrenï¿½s show in history, and today reaches 8 million preschoolers on 350 PBS stations and airs in 120 countries. Street Gang is the compelling and often comical story of the creation and history of this media masterpiece and pop culture landmark, told with the cooperation of one of the showï¿½s cofounders, Joan Ganz Cooney. Sesame Street was born as the result of a discussion at a dinner party at Cooneyï¿½s home about poor quality of childrenï¿½s programming and hit the air as a big bang of creative fusion from Jim Henson and company, quickly rocketing to success. Street Gang traces the evolution of the show from its inspiration in the civil rights movement through its many ups and downsï¿½Nixon ï¿½s trying to cut off its funding to the rise of Elmoï¿½via the remarkable personalities who have contributed to it. Davis reveals how Sesame Street has taught millions of children not only their letters and numbers, but also cooperation and safe play, tolerance and self-respect, conflict resolution, and the importance of listening. This is the unforgettable story of five decades of social and cultural change and the miraculous creative efforts, passion, and commitment of the writers, producers, directors, animators and puppeteers who created one of the most influential programs in the history of television. Michael Davis was a senior editor and family television columnist for TV Guide from 1998 to 2007. A Neiman Fellow, he has also worked for The Baltimore Sun-Times. He lives in Yardley, Pennsylvania. Caroll Spinney, the voice of Big Bird and Oscar the Grouch, and the winner of four Emmy Awards and two Grammys, has received both a star on the Hollywood Walk of Fame and the Library of Congress's Living Legend award for his work on "Sesame Street." In 2006, Spinney was honored with the National Academy of Television Arts and Sciences' Lifetime Achievement Award. "Caroll Spinney, the voice of Big Bird and Oscar the Grouch and winner of the Library of Congress's Living Legend Award, here narrates journalist Davis's gentle yet often surprising look at Sesame Street, the world's longest-running (40 years) and widest-reaching (120 countries) children's show. This will be a sure-fire hit in just about every library; highly recommended. 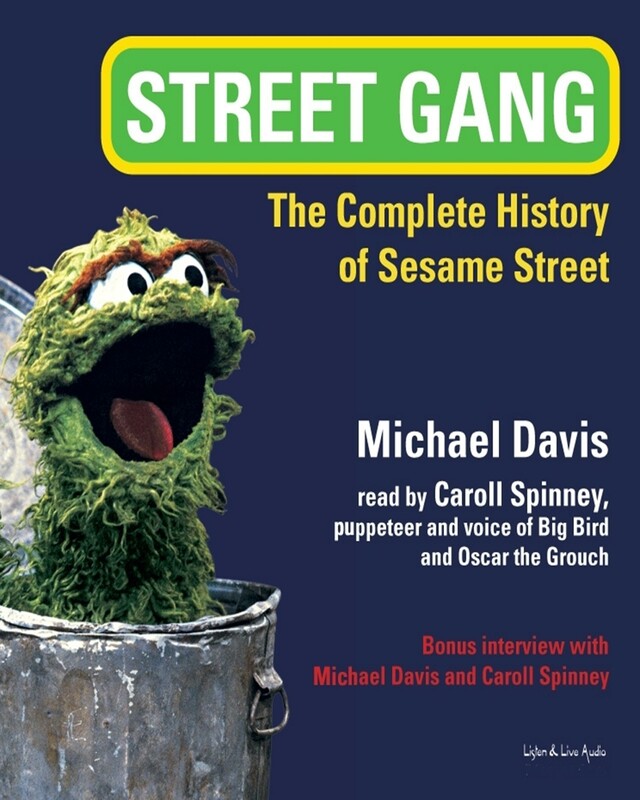 [Includes a bonus interview with Davis and Spinney]"
"...narrated by the creator of Big Bird and Oscar the Grouch, is a treat of nostalgia and insight. Puppeteer Caroll Spinney presents Michael Davis's behind-the-scenes account of this iconic children's program in a comfortable, almost conversational, manner. He navigates the rich detail of the text with clarity and employs a brisk pace that keeps the listener involved. Spinney accomplishes this while maintaining a subtle level of emotion as he speaks of people who were dear friends and co-workers. This unique blend of an author with an intimate knowledge of his subject and a narrator who was directly involved with all the personalities and events provides the listener with a special experience." "Well-researched details and an unflinching eye make Davis's book continuously fascinating." "Anyone who has ever seen Sesame Street as parent or child -- or both -- will love the detail and exuberance of this book." "Davis tracks down every Sesame anecdote and every Sesame personality in his book...Finally, we get to touch Big Birdï¿½s feathers."